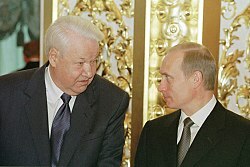 The Second Inauguration of Boris Yeltsin as the President of Russia took place on Friday, August 9, 1996. The ceremony was held at the State Kremlin Palace and lasted about thirty minutes. 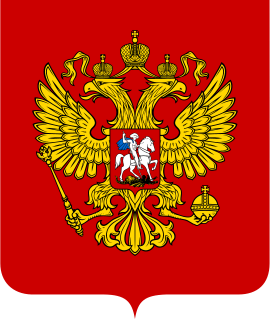 Inauguration of Dmitry Medvedev as the President of Russia took place on Wednesday, May 7, 2008. The ceremony was held in the Grand Kremlin Palace and lasted about one hour. 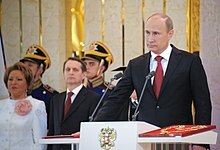 The third inauguration of Vladimir Putin as the President of Russia took place on Monday, May 7, 2012, in the Grand Kremlin Palace.